Services. I nvestigation and Preventative Services. At GUARDFORCE, we believe in looking at everything with ... Security Survey, Audits & Consultancy Services. We provide comprehensive solution to review your informatio security risks, processes that are implemented against legislative regulatory and/or business requirements to ensure that controls are effective and appropriate. Following are some spects of IS Auditing that we do. Auditing is a recognized management technique providing managers with an overview of the present situation regarding specific resource(s) and services within an organization. Information Systems Audit and Control: We have technically qualified and experienced engineers in order to provide information systems Audit and control. 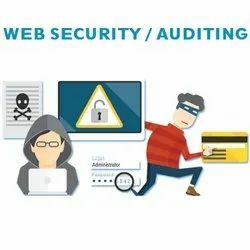 Security is always a point to consider in world wide web, where intruders always keep their eyes on to target your websites. At sriyaan we provides regular security audit to your applications which makes your application bug free and fully protected from intruders. We have great team of pentesters who are on mission to secure whole world wide web. We have framed Our Security Audits services based on industry-accepted standards and best practices such as ISO 27001, CoBIT, and Regulatory compliance requirements specific to the industry and country. Our Auditing method is designed to secure the all aspects of information security including People, Processes and Technology. Security takes on a mission-critical role in today's information economy, as companies are compelled to open their Information Technology (IT) infrastructure and corporate resources to the external world. Secure IT Infrastructure is one of the main focus areas for the security of critical organizational information assets.